Hell is a village around Nord-Trøndelag, Norway. It is a tiny village boasting a grocery store, petrol station and believe it or not a retirement home! 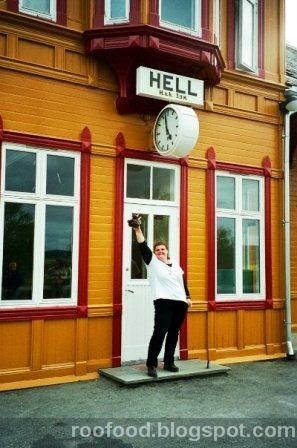 I literally have been to Hell and Back. Stronger, healthier, fitter than ever.....but this photo brings back some fabulous memories.